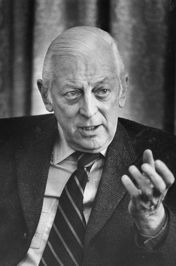 Alistair Cooke, KBE (1908-2004), was a legendary British American journalist, television host, and radio broadcaster. He was born in Lancashire, England, and after graduating from the University of Cambridge, was hired as a journalist for the BBC. He rose to prominence for his London Letter reports, broadcast on NBC Radio in America during the 1930s. Cooke immigrated to the United States in 1937. In 1946, he began a tradition that would last nearly six decades-his Letter from America radio appearances on the BBC. 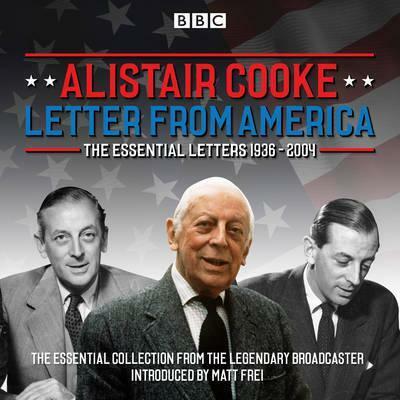 All six volumes of The Essential Letters from America, brought together for the first time in this definitive chronological collection of Alistair Cooke's finest broadcasts. 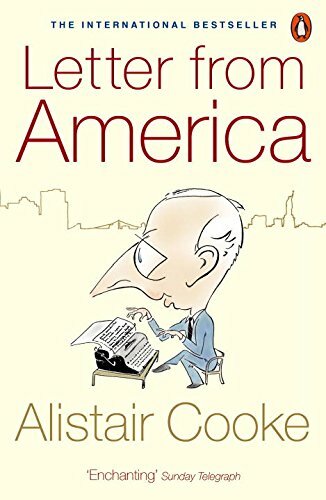 Alistair Cooke was the doyen of foreign correspondents and a radio legend, entertaining millions of listeners for over fifty years in his weekly "Letter from America." It was the longest-running show in radio history, and every show was a virtuoso performance. In this selection of his best and most memorable Letters, Cooke reports on landmark political events from presidential elections to Franklin D. Roosevelt's funeral and the assassination of JFK. He reflects on the war in Vietnam, the Watergate scandal, the Monica Lewinsky affair, the Watts and Rodney King race riots in LA in 1965 and 1992, the Gulf War and the terrible events of 9/11. Here are Cooke's observations on the Challenger space shuttle explosion, Black Monday, the catastrophic San Francisco earthquake of 1989 and - in his final Letter - President Bush's difficulties with the situation in Iraq. But there are also Letters in a more personal vein, as Cooke reflects on topics close to his heart such as sport (the Ali v. Liston fight, baseball star Joe DiMaggio, and golfer Bobby Jones) and music (pianist William Kapell, jazz singer Louis Armstrong, and composer Irving Berlin). The Letters are set in their historical context with a specially commissioned script narrated by award-winning broadcast journalist Matt Frei. This collection also includes a bonus programme, Remembering Alistair Cooke.